The Twentieth United States Congress was a meeting of the legislative branch of the United States federal government, consisting of the United States Senate and the United States House of Representatives. It met in Washington, D.C. from March 4, 1827, to March 4, 1829, during the third and fourth years of John Quincy Adams's presidency. The apportionment of seats in the House of Representatives was based on the Fourth Census of the United States in 1820. Both chambers had a Jacksonian majority. This list is arranged by chamber, then by state. Senators are listed by class and members of the House are listed by district. Senators were elected by the state legislatures every two years, with one-third beginning new six-year terms with each Congress. Preceding the names in the list below are Senate class numbers, which indicate the cycle of their election. In this Congress, Class 1 meant their term began with this Congress, facing re-election in 1832; Class 2 meant their term ended with this Congress, facing re-election in 1828; and Class 3 meant their term began in the last Congress, facing re-election in 1830. Two representatives replacing those that had resigned were elected statewide on a general ticket. (1) Vacant Seat remained vacant because legislature had failed to elect. (3) William Henry Harrison (A) Resigned May 20, 1828, to become U.S. Minister Plenipotentiary to Gran Columbia. (1) Albion K. Parris (J) Resigned August 26, 1828, after being appointed to the Maine Supreme Judicial Court. (2) Thomas W. Cobb (J) Resigned before November 7, 1828. (3) Nathaniel Macon (J) Resigned November 14, 1828. (1) Martin Van Buren (J) Resigned December 20, 1828, to become Governor of New York. 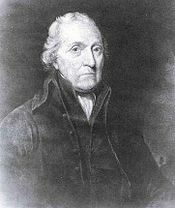 (1) Ephraim Bateman (A) Resigned January 12, 1829, due to failing health. Congressional Directory for the 1st Session of the 20th Congress.